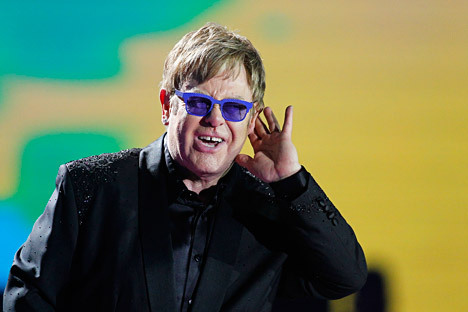 Vladimir Putin spoke to British singer Elton John by telephone on Sept.24, asked him not to take offense at the telephone pranksters and said he is ready to meet with him to discuss any topic, presidential press secretary Dmitry Peskov said. "After a meeting [on agricultural development, in the Rostov region] the president has just spoken by telephone with Elton John. He did actually," Peskov told reporters in the Rostov Region. The president asked the singer not to take offense at the telephone pranksters who had earlier called John posing as the Russian president, the spokesman said. They are "unoffending guys," "harmless people, although this, of course, does not justify their prank," he said. "Putin said that as far as he knows John is a popular performer and reassured him that if in future their business schedules coincide, he will be ready to meet with him and discuss any issue of interest to the singer," the presidential press secretary said.